Last week we compared two first-person shooters for the Xbox 360 and PlayStation 3 in the category of multiplayer versatility. Without a shadow of a doubt many gamers felt that M.A.G won that bout hands-down. And according to the poll results, only one out of every three gamers tend to see Halo 3: ODST as providing the better multiplayer options in comparison to M.A.G. This week we cover the topic of weapon balance for both games. Will Halo 3:ODST have better weapons and balance or M.A.G? Joining us for this week is Kev. J and l.m.h from Electronic Theatre. All right, enough prattle. Let’s get this thing started. BG – Mark Barley: The weapons in Halo 3: ODST are simple yet effective. The game is very well balanced between alien weapons and human weapons. For every UNSC weapon there is the Covenant counterpart. This makes for accurate weapon balance. BG – William Usher: It’s not just about a fair set of weapons for Halo but how they respond, react or how effective they are during intense combat scenarios. One of the obvious drawbacks to ODST is that the marines can’t dual-wield certain weapons that the Chief could. This ultimately limits the effectiveness of their use, especially when considering that some weapons in Halo are only useful when dual-wielding. 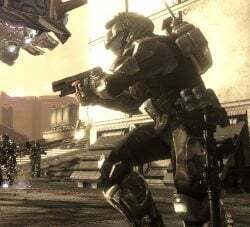 With that said, ODST will automatically suffer from Battle Rifle/Pistol-is-best-for-all-scenarios complex, considering that those are the most balanced weapons in the series dating back to Halo 2. ET – l.m.h: Halo fans have long become used to tinkering. The Needler was overpowered, they said, offering a limp version of the weapon in Halo 2 before bringing it back to near it’s former glory for Halo 3. The Assault Rifle may have been omitted from Halo 2, but in Halo 3 it returned with greater accuracy and dealing more damage. Even the most basic weapon, the Magnum, has been positioned as a different variant of that which preceded it each time; Halo: Combat Evolved featured the M6D, whilst Halo 2 offered the M6C, and Halo 3 delivered the M6G. The difference? A missing scope and a little more automation may be apparent at a glance, but every Halo multi-player fanatic has their favourite. With all this messing about going on it would be hard to criticise Bungie’s quest for the correct balance, but harder yet to present an argument for a developer that has clearly demonstrated so much care and attention to one of the most fundamental aspects on online First-Person Shooter deathmatching. Balancing is one of the most fundamental aspects of multi-player, and yet few consider it to the depths that Bungie so clearly do. BG - Ryan Rigney: I'm afraid I can't comment on things like Weapon Balance... I've never seen anything about M.A.G's weapons, although I'm sure it'll have something generic like the shotgun, sniper rifle, and assault rifle, etc. 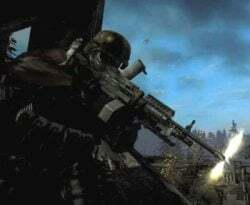 BG - William Usher: I’ve seen most of the weapons in M.A.G, and while they are fairly generic – with the exception of the high-tech looking assault weapons from the Raven group – they seem to be much more balanced than Halo 3:ODST. The only obvious drawback is that the Sever group uses less accurate and cool looking weapons, which might create a bit of an imbalance for players who stick with the traditional or high-tech armament from the Valor or Raven PMCs. For the most part, though, the “generic” route just might be a good thing for M.A.G, as it prevents the devs from having to do what Bungie is continually trying to fix: weapon imbalance.
. While most modern First-Person Shooters have similar foundations for their weapon selection and rule-sets therein, MAG delivers far more realism behind the limitations of each due to it’s command structure. As a grunt, your frontline tasks will be to hold or assault defensive positions and structures, keep heavy weaponry secure and support other squads, and though the full array of available firepower is yet to be revealed, that which has been shown so far has clearly been chosen for their appropriate balance between each other, and the task at hand. You’ve read the descriptions and gone over the details. If you still need a little visual influence feel free to check out the video trailers for each game below and then place your vote on which game you feel offers up the better weapon balance and choice. And remember to stay tuned in with Blend Games as we conclude this three-part bout with the third and final round of Halo 3:ODST vs M.A.G.